It’s looking to be a lot like Christmas everywhere I go… I have been singing this tune for the past week while I pull out all the Christmas decorations and start pouring the glitter and sparkle around the house. Last year, we were not home for Christmas so no decorations went up and the kids were still so young they didn’t know any different. Oh, but this year I am making up for it and they are old enough to get involved now too. 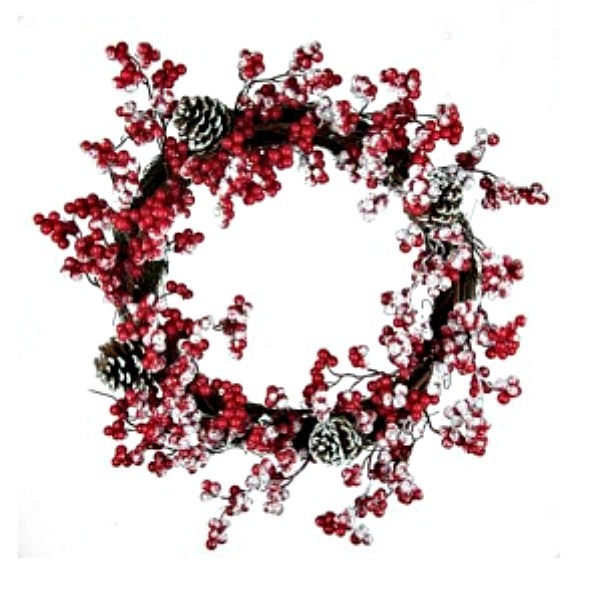 I love these traditional circle wreaths with berries and frost. They are large enough for the front door but you could always hang one inside on a feature wall or even in the middle of a mirror above the fireplace. I love when people hang Christmas wreaths above their fireplace. It makes the room so festively cozy and even better if that fireplace is lit. I can picture it now with the wood cracking as it burns. 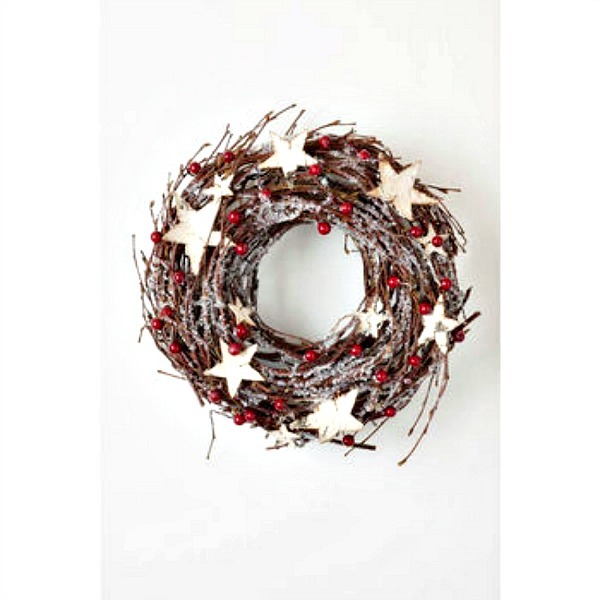 From unique heart twig christmas wreaths and twig wreaths with golden stars there is a christmas wreath out there for everyone. If you like to get modern why not try an all cranberry wreath or even this great metal typography christmas wreath that also comes in white. Who says you have to stay traditional? Not me with my pastel christmas decorations going up in my front room! 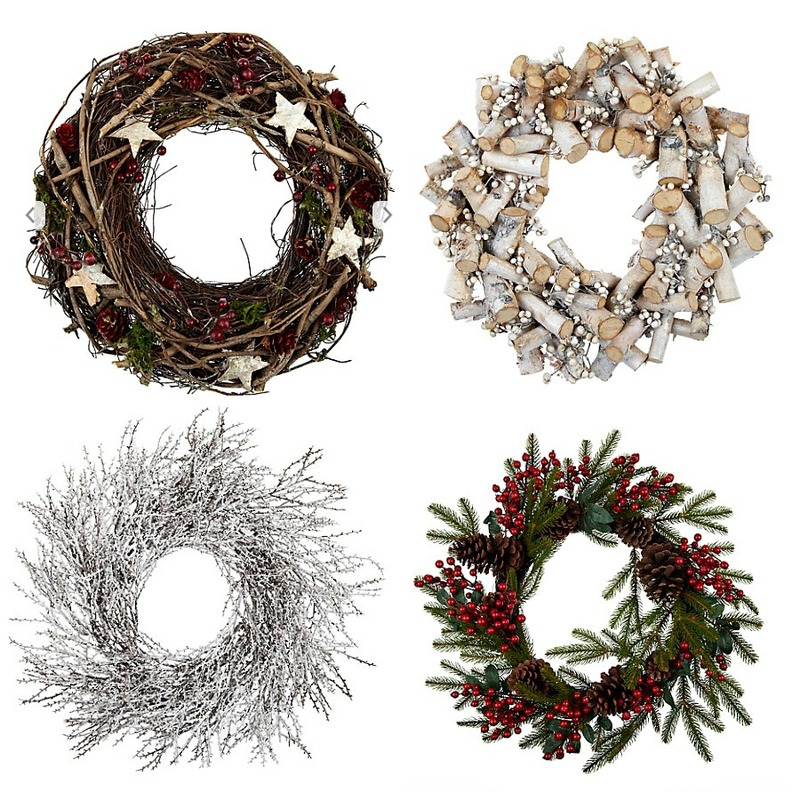 I say go wild with your Christmas wreaths. This year the Christmas trend seem to be all about the twigs. I couldn’t agree more, nothing like becoming one with nature indoors. I have put a white twig Christmas tree in my dining room and it’s a beauty. If you haven’t had a chance come peak at my Instagram it’s loaded with sneak peaks to my Christmas decor and keep your eyes open on twitter for my YouTube Christmas tour which will be up soon! I find it so hard to pick just one. There are so many uses for Christmas wreaths as well. Why not lay it flat on the table as a Christmas centerpiece like I have done with the wreath below. Add a candle or snowman in the middle of it to really catch guests’ eyes. I love the dining room to feel festive while we eat. Depending on what style and color of wreath you choose you could even incorporate it into your all year round home decor. Bringing a little nature into the house is a great home decor trend at the minute. I don’t think you could get away with it on the front door year round but definitely a neutral one on a sideboard with a candle. What do you think of my choices? Which one should I go for? 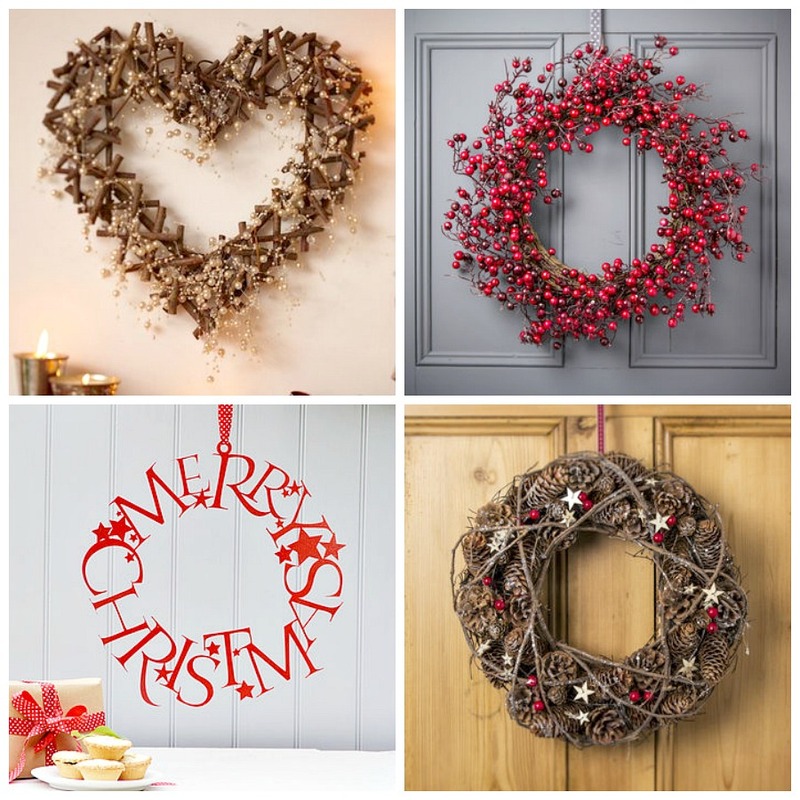 Do you have your own Christmas wreaths inside or outside the house? Anyone use wreaths year round as part of their decor? Would love to hear your thoughts. Thanks me too. Hard decisions. Oh I love the metal Merry Christmas – sadly a bit out of budget for this year but maybe next year 🙂 they’re all gorgeous though! Yes i loved it to but went on my own wishlist too. Thanka babes. Thanks for popping over from home corner. I know me neither until this one. Love it. I keep saying that should I make it or buy it make it or buy it? But after seeing all these amazing ones why not buy, I am with you. So many beautiful wreaths, I’m not even sure which one is my favourite. I have a heart shaped one on my front door all year round and I have just swapped it for the Christmas one. Oh I bet it’s lovely. I couldn’t decide so the door lies bare still. Hoping to scoop one up at the garden center tomorrow!